The main interest of Dr. Lauzon’s laboratory is to understand the role of specific proteins in determining the contractile properties of smooth muscle, in particular as they pertain to the problem of airway hyperresponsiveness in asthma. Thus, she established a research program to investigate the structure and function of normal and asthmatic airway smooth muscle. Specifically, the first theme of her research program consists in characterizing contractile protein expression and function in normal and asthmatic airways, as well as in innate and allergic models of asthma. The second theme of her research program consists in investigating fundamental properties of these contractile proteins by measuring rate and force generation directly at the level of the myosin molecules. 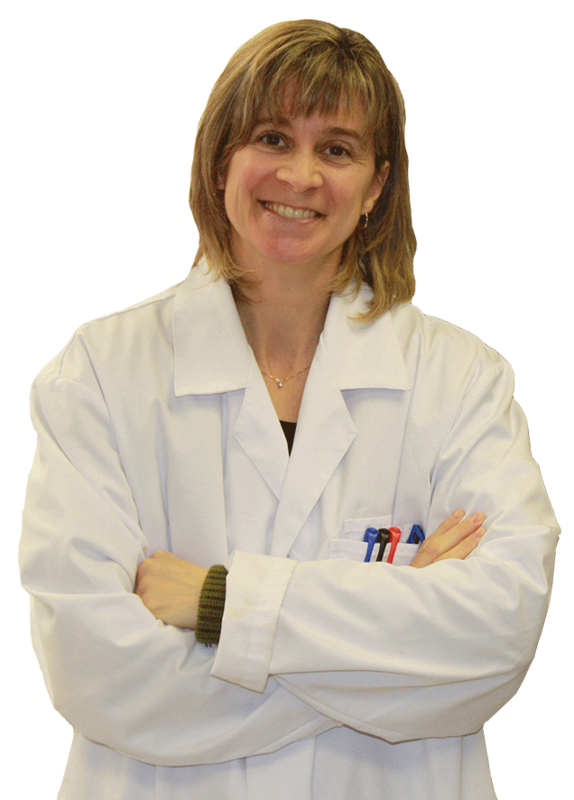 To this aim, Dr. Lauzon has set up a molecular mechanics laboratory which includes an in vitro motility assay and a laser trap assay. Dr. Lauzon’s general hypothesis is that alterations in expression and function of specific contractile proteins are important determinants of airway hyperresponsiveness in asthma. Dr Lauzon also studies fundamental smooth muscle properties at the muscle strip level by state of the art oscillatory mechanics. Although the main focus of her work is in the pathogenesis of asthma, her studies are also of direct relevance to other disorders associated with bronchial hyperresponsiveness such as chronic obstructive pulmonary diseases and cystic fibrosis, as well as other vascular and intestinal pathologies related to smooth muscle dysfunction.